A large chunk of all the trending websites these days are running over PHP, owing to the ease of development using this language. 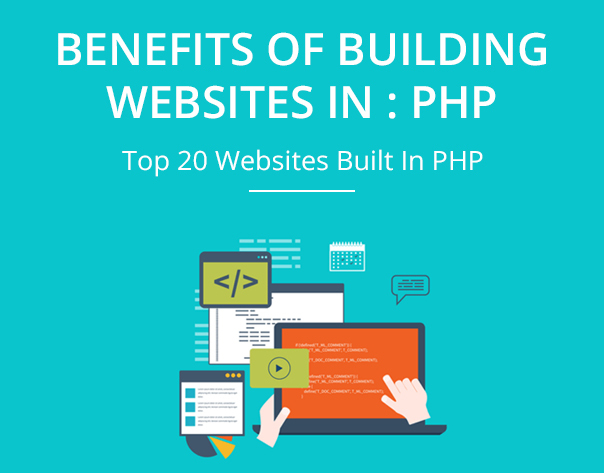 Benefits Of Building Websites In PHP: Top 20 Websites Built-In PHP. The seemingly greater shift of website developers towards PHP can be attributed to the Open Source nature of the language which fetches a lot of forums, discussions, and blogs where developers can look out for guidance and troubleshooting. If you are switching to PHP, you are doing just the right choice because the high-end scripting language doesn’t need any special app to write its code as you can write it over any text editor. One more advantage of using PHP is, you can also run PHP on Unix, Mac OSX, and Windows platform. The feature of its easy integration with Memcache, MongoDB, and Pusher make it the first choice of the majority of developers. You can create fully customized websites using PHP without compromising at all with the security. Here we are talking about the most traffic generating websites built in PHP and the way it proves advantageous to the developers of such high-end companies. Have you always wished to learn PHP from scratch but never got the apt source to do so? Look out for the best source to master PHP in this article. The website runs on Microsoft IIS Server Solution. The security certificate to the website is provided by DigiCert all the website traffic is redirected to an HTTPS/SSL version by default. DHL, the German division of Deutsche Post, along with La Poste, UPS, and TNT provides package logistics service to the company. Adobe Scene7 which is a hosted solution for enhancing, publishing and delivering dynamic marketing assets, is used by Facebook for rich visual merchandising to Web, mobile, email, Internet-connected displays and print. The advertising solutions of Atlas are Top 20 websites built in PHP used to make the most out of the advertising domain. Facebook is now the biggest social network worldwide. 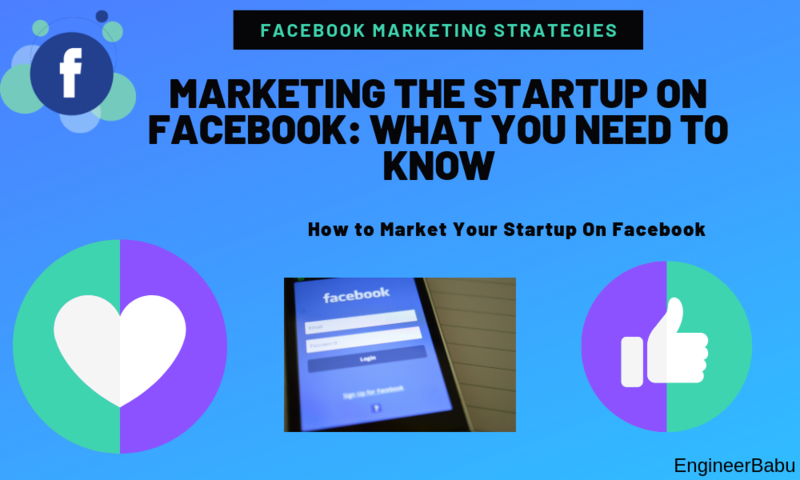 Facebook allows its users to create their profile and shares their photographs, videos, and thoughts with their friends and family.It has been realized by the Facebook user statistics that the very famous feature of Facebook is its “like button”. Facebook enables brands to address their fans directly, which is why marketers put a lot of effort into generating Facebook fans. Baidu Maps- mapping service from Chinese search engine Baidu, is used for mapping purposes by the website. The website uses the viewport meta tag to optimize the content for mobile phones. The roots of Baidu, Inc., were integrated on 18 January 2000. It is a Chinese Web Services Company headquartered at the Baidu Campus in Beijing’s Haidian District. It is one of the largest internet companies, and one of the premiers AI leaders in the world. Wikipedia is a free, open content online encyclopedia where the information can be published by anyone. The ones who publish information on Wikipedia are called ‘Wikipedians’. To publish an article, you just need to register on the website and to make edits in the existing articles, no registration is required. Brings all the news that matters to you, while you go through your important emails. Yahoo! It uses the Apache server, one of the most popular web servers on the Internet since April 1996. Making use of the Yahoo DNS service, this website employs SPF, (Sender Policy Framework) a technical method to prevent sender address forgery. For professional email hosting, it uses Yahoo! Business Email. Ensuring the user’s privacy and security the website redirects traffic to an HTTPS/SSL version by default. Yahoo is a California-based, multinational technology company renowned all over the globe for its search engine, Yahoo Search, and the Yahoo web portal, which accompanies various services, such as Yahoo News, Yahoo Finance, Yahoo Answers and the widely used Yahoo Mail. Advertising services, online mapping, and video sharing are also provided by this company. After acquiring Tumblr in 2013, the company made its way into the social media sector. All you need is a bit of creativity and WordPress to make you popular on the internet! The website runs on Nginx server, which is an HTTP server and mail proxy server written by Igor Sysoev. 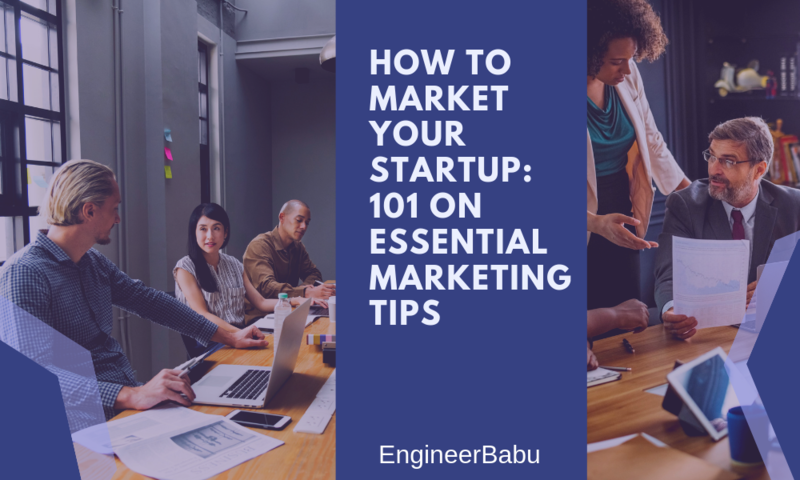 The email sending for the website is managed by MailChimp SPF along with ZenDesk which helps organize, prioritize and engage with others in support requests. The Domain Name Server used is of WordPress itself. The SSL certificate provider to WordPress is GoDaddy. 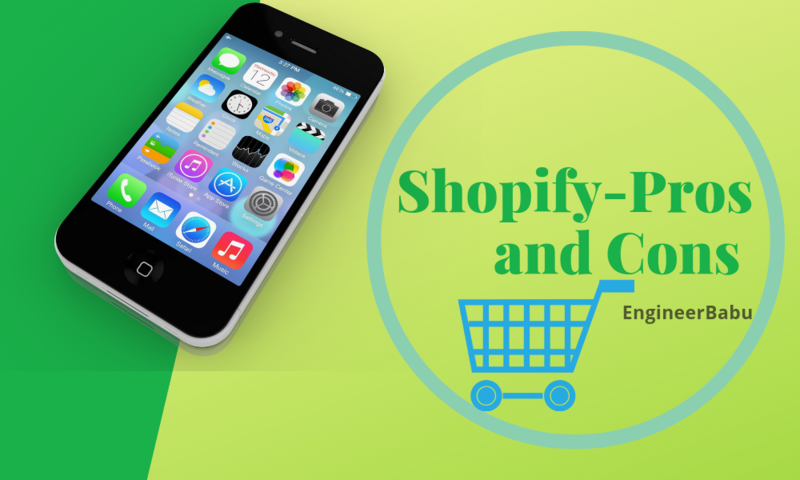 WordPress can be used in collaboration with WooCommerce to turn your WordPress website into an online store. The power of advertising is managed by DoubleClick, which allows agencies, marketers, and publishers to come together to work and enables them to make a profit from their digital marketing investments. WordPress allows users to create their blogs as well as a full-fledged website by using the highly flexible Content Management System of WordPress. Best of all, it’s completely free of cost! So that you get ideas via social networking and give them your own touch to make your personalized blog! The website makes use of SendGrid’s cloud-based email infrastructure which provides businesses with email delivery management. The website also uses Dyn, whose services include email delivery, Backup MX and more. Yahoo and Dyn provide DNS service to the website. The Greenhouse is employed by the website for Content Management Systems. The shipping and delivery providers of Tumblr are FedEx and UPS. Cedexis provides visibility and control over the Cloud performance to this website through a community-based monitoring and analysis solution. Tumblr is a microblogging and social networking website founded by David Karp in 2007 and owned by Oath Inc. The multimedia and other content can be posted on this website in the form of a short-form blog. Bloggers can also make their blogs private. A “dashboard” interface is provided to the bloggers from which many of the website’s features can be accessed. The website leverages the functionality of Apache, the most commonly used web server along with the DNS server of Yahoo. For professional email hosting, Flickr uses Yahoo! Small Business and to reduce email-based abuse, DMARC is employed. The site is hosted on Yahoo infrastructure. Expressjs, a web application framework for node.js, is the framework used by Flickr. The advertising solutions are provided by Atlas, which is used by 9 of the top 10 global brands and 7 of the top 10 global advertising agencies. Flickr is the largest online community for viewing and sharing digital pictures. What sets different parameters for Flickr apart from other famous photo sharing platforms like Facebook and Instagram is that it’s truly a photo-centric platform built for professional photographers and photography enthusiasts to show off their work while enjoying the work of others. You can think of it as Instagram for professional photographers. The web hosting for Sourceforge is provided by Savvis which is an enterprise level hosting for media, government, financial, software, and retailers. 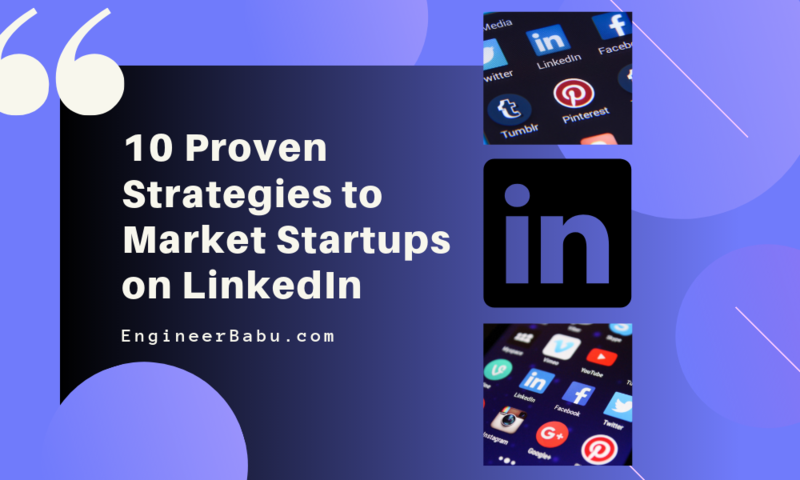 A congregate of Atlas, Google Publisher Tag, LinkedIn Ads, Datonics is used by the website for making use of the various advertising solutions. Google Analytics, LinkedIn Insights, Cross Pixel Media, Bombora and New Relic aid the website in the various analytics and tracking jobs. Some of the facilities provided by SourceForge are a source code repository, bug tracking, mirroring of downloads for load balancing, a wiki for documentation, developer and user mailing lists and other features. Apache and Nginx combine to provide the server for the website. Amazon’s scalable DNS web service system, Amazon Route 53 provides the Nameserver to the website. Zendesk and Sendgrid are used by Paytm for organizing, prioritizing, and engaging with others in support requests and also for email delivery management. Amazon Elastic Load Balancing is used for web hosting which automatically distributes incoming application traffic across multiple Amazon EC2 instances in the cloud. Content Management System used by Paytm is WordPress. Paytm is an Indian electronic payment and e-commerce brand based out of Delhi NCR, India. Launched in August 2010, it is a consumer brand of parent company One97 Communications. The name is an acronym for “Payment Through Mobile”. Google Analytics, DoubleClick Floodlight, Yahoo Web Analytics, Twitter Conversion Tracking, Facebook Signal, Yahoo Dot are used by the website for the analytics and tracking purposes. It also provides a rich set of client-side functionality for authentication and sharing. Wistia, which is a video marketing, sales, and collaboration application is used by the website for providing Audio/Video media solutions. MailChimp is a marketing automation platform and an email marketing service founded in 2001. MailChimp began as a paid service and added a “freemium” option in 2009. The user base of this website had grown from 85,000 to 450,000 within a year. By June 2014, it was sending over 10 billion emails per month on behalf of its users. Nginx and Apache are the web servers used by the website which runs on DNS services provided by Akamai DNS. Microsoft Exchange Online is used by the website to provide a rich hosted Exchange environment for every user without having to manage a server. The website by default redirects traffic to HTTPS/SSL version and the SSL certificate is provided by GoDaddy. The website runs on Ruby on Rails framework which is an open-source web framework that is optimized for programmer happiness and sustainable productivity. iStock is an online royalty free, international microstock photography provider. The website is based in Calgary, Alberta, Canada. Millions of photos, illustrations, clip art, videos and audio tracks are available at this website. Images cost between 1 and 3 credits, with the price of credits ranging from $10.00 to $0.22. Artists, designers, and photographers from all over the globe contribute their work to iStock collections. The HTTP Server and Mail Proxy Server used by the website is Nginx. Email services used by the website are provided by Google Apps for Business. Making use of the SSL Certificate provided by Comodo SSL, the website, by default redirects traffic to HTTPS/SSL version by default. Laravel, a PHP Model View Controller Framework is employed by the website for creating the website. Masonry is a layout plugin for jQuery and is being used by the website as the flip side of CSS floats. The prime concern behind the creation of AlphaCoders is to connect the content creators and fans to collaborate with some revenue earning opportunities. One can easily find out interesting art, images, avatar etc. as content in Alphacoders. It’s getting huge traffic and expanding worldwide, currently most popular in USA & Europe. Ensuring the safety of the users by running on SSL certificates provided by CloudFlare SSL and Comodo PositiveSSL, this website is hosted on the CloudFlare Hosting system. The advertising solutions are provided to this website by Facebook Custom Audiences which makes it possible to reach people who visit your website and deliver the right message to them on Facebook. It is Outbrain which provides the content engagement. It does so by linking to other articles, hence providing a good platform for people. For analytics, this website uses New Relic, a dashboard used to keep an eye on application health and availability while monitoring real user experience. LADbible is based out in London and Manchester, United Kingdom. It is basically a social media and entertainment company which has scored well in the past few years. “Redefining entertainment and news for a social generation” is how the company describes itself. The company aims at providing news, entertainment, and community to a global audience of young people with a focus on viral content and social videos. Leveraging the services provided by Sailthru to send behaviorally targeted emails, the website runs on a Nginx server, an HTTP server, and mail proxy server written by Igor Sysoev. The certificate provided by GeoTrust is used for security of the users. To improve the scalability of the website, the website makes use of Amazon Route 53, Amazon’s scalable DNS web service system. 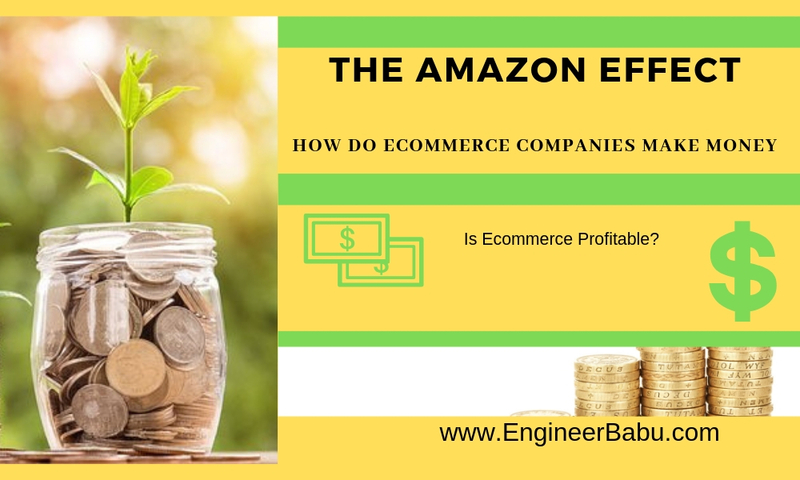 The website is hosted on Amazon AWS EC2 Infrastructure and the framework backing the website is Ruby on Rails, which is an open-source web framework that is optimized for programmer happiness and sustainable productivity. Digg is a news aggregator with a brilliantly crafted front page. The main aim of the website is to allow Internet audience to specifically select news relating to various topics such as science, trending political issues, and viral Internet issues. It was launched in its current form on July 31, 2012. The website also provides support for sharing content to other social platforms such as Twitter and Facebook. Running on Nginx server, this website domain is verified with Microsoft Azure. The shopping cart is provided to this website by Cart Functionality and advertising is handled by AppNexus which provides access to the major exchanges and aggregators. Index Exchange is the world’s fastest-growing provider of online media solutions and is employed by Fotolia for advertising purpose. Rubicon makes sure that the advertisements are optimized according to the needs of the website. Fotolia is a digital photo exchange website that allows photographers to sell their images directly to their customers. The service is available in several languages: German, English, French, Spanish, Italian, Portuguese, Japanese and Polish. Fotolia claims to have a database of over 40 million royalty-free images, graphics, and videos and is established in New York, Washington and Paris. your hands on the most widely used web development technology and master it with real-world problems. Mailgun is a bunch of APIs which is used by the website that allows it to send, receive, track and store email efficiently. The Mandrill is an email infrastructure service which is being used by Laracasts provides detailed analytics to measure email performance. Supercharged web hosting service by CloudFlare is currently employed by the website to make use of its DNS services. Laracasts is developed to provide excellent training and in-depth knowledge of Laravel. The website provides the beginner with the advanced level training of PHP so that users can write the PHP code for a small business to enterprise level web application easily. It’s backed by the Laravel community founder. So that you get to choose everything from your movie to the delivery time of popcorns to your desired seat! NONE delivers data-driven DNS to this website with enterprise-level support and transparent pricing. GeoTrust SSL and RapidSSL are used by the website for SSL certificates. Zendesk and Sendgrid are made use of for email services along with Amazon SES which is a scalable, bulk, transactional email-sending service for businesses and developers. This site is hosted on Amazon AWS EC2 Infrastructure. Yield Manager, DoubleClick.Net, AdRoll, Taboola, and BlueKai are used for advertising by SeatGeek. SeatGeek is an event ticket market and provides an aggregation of sports, concert, and theater tickets. SeatGeek has its presence on both desktops as well as mobile phones where a user can browse events, view interactive color-coded seat maps, complete purchases, and receive electronic or print tickets. To provide you with the best comparison amongst the various insurance policies and not the fake promises! This website is running on a Microsoft IIS Server solution. DNS services provided by Network Solutions to this website. The email domain of Policybazaar is verified with Microsoft Azure. This site is hosted on Amazon AWS EC2 Infrastructure. ASP.NET is the web application framework employed by Policybazaar which is marketed by Microsoft that programmers can use to build dynamic websites, web applications, and XML web services. This website contains embedded Alexa Metrics and CrazyEgg which help in analytics and tracking. The firm has 5 million registered users who search through 2-3 pages per visit on an average. Since July 2017, Policybazaar.com has furled out many marketing campaigns on TV with Comedy Star Kapil Sharma and has also tried their hands in the radio route. Because it’s always about the innovation with which you present yourself! Apache along with Varnish, which is a web accelerator / reverse proxy caching server, are the servers used by Birchbox. SendGrid’s cloud-based email infrastructure provides businesses with email delivery management to this website and behaviorally targeted emails are sent by the company using Sailthru. The hosting provider for this website is Datagram and DNS is provided by Dyn DNS. Along with making use of Facebook Domain Insights, Google Analytics and New Relic for analytics and tracking, this website also uses makes use of Fastly, which is a Real-time Analytics and CDN platform. These products include skincare items, perfumes, organic-based products, and various other cosmetics. Making sure the stay is pleasant for you as well as your pocket! The DNS services are provided by GoDaddy to the website which measures email performance through Mandrill. Supporting the cause of reducing email-based abuse, this website also follows DMARC. To support customers via email, OYO uses Freshdesk. Hosting is provided by Amazon Elastic Load Balancing. The framework behind the website is Ruby on Rails and the content management is done by WordPress. OYO Rooms, commonly known as OYO, is a network of budget hotels in India. The headquarters of OYO is situated in Gurgaon. OYO is currently operating in more than 200 Indian towns and in Malaysia and Nepal. The list must have told you the potential and strength PHP possesses. There are a lot of other benefits too for developing your projects using PHP. Most of the emerging startups, as well as well-established organizations, rely on PHP for providing their customer base the most responsive and interactive website experience. Whether you are planning to build a website for a project or a small business or a big corporate firm, PHP has got benefits for all the domains. Now you know which language to choose while creating your next big website.